The news is startling and stark these days. It hurts. Sometimes it hurts so much that it is hard to even find the words to express what that means. People in the United States are more and more politically polarized and the fear of connecting with others – lest they may have a view that hurts – is seemingly at an all time high. We are in the age of social media “connection” where we feel comfortable verbally assaulting other people because we don’t have to look them in the eye(s). It is easy to assault a computer screen. We are fighting with our families, with our friends and with our neighbors. I’m a liberal therapist. A very, very liberal therapist. I believe in equality, and I have an absolutely no-tolerance bigotry policy in my presence. I wear feminist t-shirts around town as a peaceful protest to anyone who might even consider spewing hate around me. I also tend to surround myself with other people who think and act just like me. Even as a person with an open mind, I, too, can fall victim to an internalized rage that comes with feeling like the world is filled with hate and live in fear that it is all just one big departure from goodness. Intellectually speaking, I know I have absolutely no control over what anyone else thinks, feels, believes or values. Like all of us, I wish that I did; but I absolutely do not. The other thing that I know is that another person’s hate or disgust for who I might be or what I represent is absolutely not personal. They don’t know me. I don’t know them. They are afraid. Maybe we both are. This week’s blog is not intended to minimize or even lend any credence to the idea that I don’t believe horrific bigotries, inequalities and real problems exist in our society. What it is intended to do, however, is to remind us that even in the midst of total despair, there is always good happening. If you are a person who is conscious of the state of the world, but is also interested in, eager even, to balance your perspective with things that do inspire and that are changing, then this week’s blog is dedicated to you. For a preview of what to expect, here is a clip from Season One of Queer Eye. 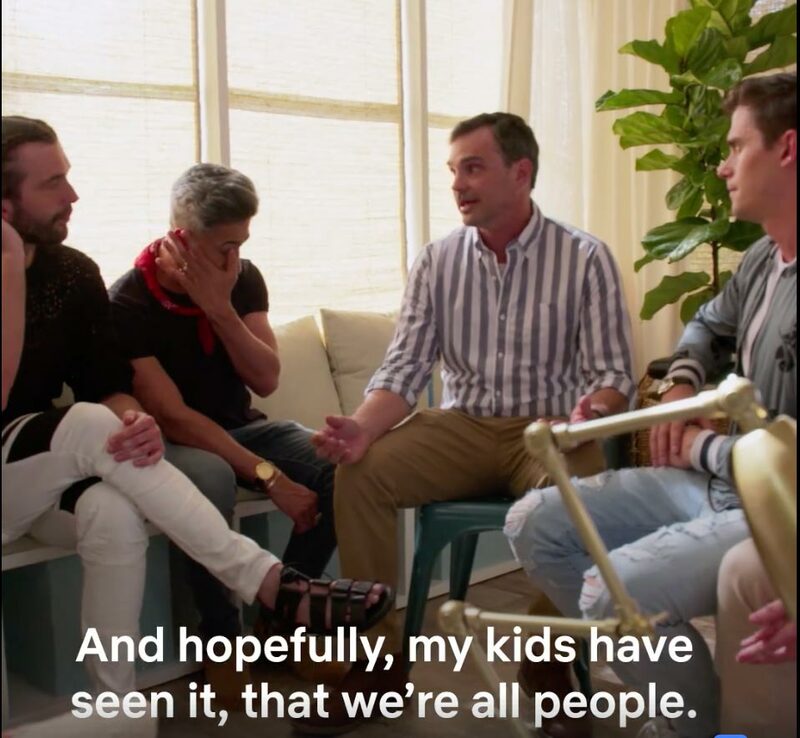 Whether you are gay or not, this brand new remake of the original “Queer Eye for the Straight Guy” is utterly inspirational. The show consists of “The Fab Five” (gay men of varying racial, ethnic and experiential backgrounds) going to places in mostly rural Georgia to help mostly straight men re-activate and change their lives. What I originally intended to watch as sheer escapist reality television turned into a surprisingly moving and perspective-shifting experience. I don’t want to ruin the show with giving too many details – as I want you to be able to experience some of the real and raw moments between the men and their “projects” first hand. 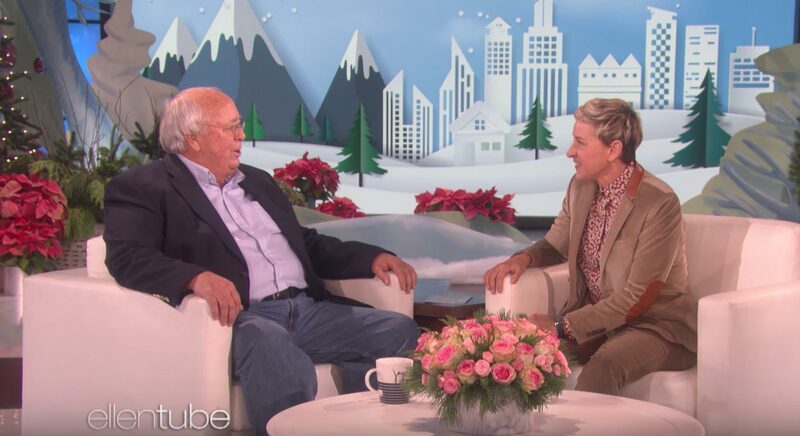 But let me just say that each episode offers at least one (sometimes multiple) moments of extremely emotional coverage of people who would never have even met a gay person or a person of color having deeply intimate, deeply important and potentially life-changing conversations with one another. Change is out there. Not everyone living in a small town is a bigot. Not everyone wants to be. This show quite unexpectedly reminded me of that. It also reminded me to be more open to deeper conversations about real things with people with whom I might have been otherwise unavailable to have those conversations with. I don’t want to ruin this by saying too much. Just watch this and your day will be instantly better. Good people exist. Keep saying that to yourself over and over again. Good people DO exist. Even when the news and the world around us is insisting that they do not. 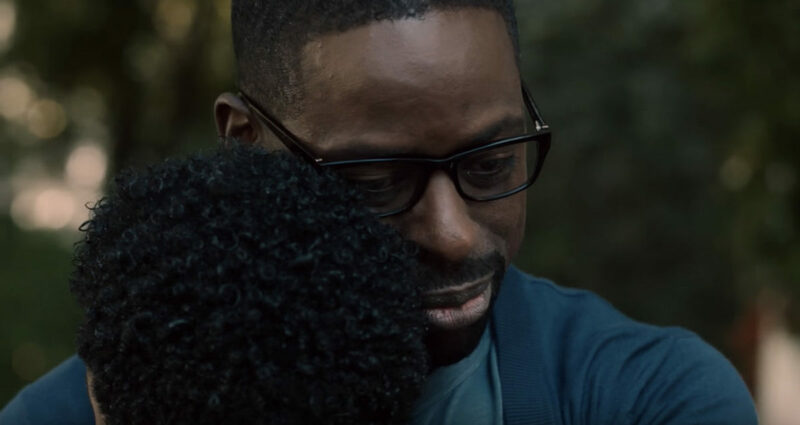 If you want to do the ugly cry (in a good way), here is a clip of Sterling K. Brown’s (and ensemble’s) masterful performance of their television family saying goodbye to their foster daughter. I know. I know. This show is a mega-sensation and one that seems to some to be cheesy and totally unrealistic. Maybe it is. But maybe it isn’t. This show explores any and every relationship dynamic that one could ponder. It also explores issues of race and ethnicity and cultural appropriation. It delves into trauma and grief and family drama and love. It even explores the issue of addiction and how addiction both polarizes and connects, depending on if one is healing or not. While this show is clearly not “real,” I think it is important to remember that REAL people are writing it. Real people had enough emotional intelligence and desire to create a story with substance that they are willing to write about hard topics and to work to translate those into stories that the average person can relate to and integrate. Stories can sometimes change minds. And this story is no different. The other thing to remember is that real people are watching it. Millions and millions of people. Maybe some of them will be influenced by some of the raw and important messages on so many topics. Maybe because of its overarching popularity, some minds will grow and evolve and change. And, finally, the only leading member of the cast to win the Golden Globe and to win multiple awards for his outstanding work on the show is Sterling K. Brown – an African-American male. Because of this success, he is also the highest paid member of the cast (a well-earned accomplishment, as you will see in the above clip). This observation is in no way intended to insinuate that the polarization of black men in this country is not profoundly tragic and ever present and in need of vigilant work to evoke change. It is intended to assist in reminding us that if we want to stay focused on change, we also have to give ourselves time to see successes where we can. How else can we keep the faith? But if we are constantly despondent about the state of the pain that is and don’t allow ourselves to be inspired by successes (at least some of the time), then how are we supposed to maintain the energy and strength to continue advocating and moving towards greater change? We need to be inspired to keep going. It isn’t a want, it is a must. Hope matters. Let’s hold onto it together. Call to Action: Go out into the world this week and try to have a conversation — even a casual one — with one person who you would have snubbed or not even given a chance before. Just try it. Keep an open mind. Even if you get snubbed in return, at least you made the step. At least you opened your mind. And who knows, maybe something unexpected will occur! If you are in duress over the current state of the world or just struggling in general, I can help. For a complimentary 30-minute phone consultation, refer to this blog.